We use cad cam design and printing as well as casting, laser welding, hand engraving, and stone cutting. We have the ability to work on the highest grade watches as well as vintage timepieces. We specialize in designing and creating custom jewelry, as well as in repairing broken pieces. Our services include custom design, diamond sales, bridal, ring sizing, jewelry and watch restorations/reproductions, jewelry consignment, and in-house watch repair. We also buy diamonds and gold. In addition, we offer a showroom filled with handmade and one of a kind jewelry. Come out to the shop to see our family, our jewelry, and the many services we offer. Here, we know every piece of jewelry is a treasure, and we will treat your treasure as our own. 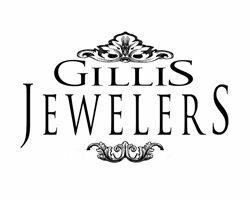 Gillis Jewelers was started in 1995 by John Gillis. Our progression into the design studio/repair shop we are today was a culmination of passion and dedication to craftsmanship. John studied with master jewelers, hand engravers, and horologists all over the country to learn his craft and become a Master Jeweler and certified Master Horologist.